Q. 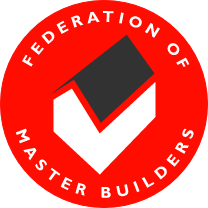 We have heard many horror stories about cowboy builders, and builders leaving jobs half complete or even going out of business. Why should we use Brackstones? A. Brackstone Builders are a reputable, well established local firm. 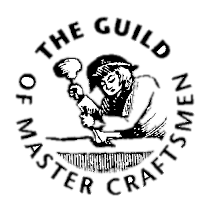 We are members of the Federation of Master Builders and the Guild of Master Craftsmen. We have also weathered one of the deepest recessions in modem times. You are offered a selection of references on request by way of details of past clients who would be happy to talk to you and give you an honest opinion of our work and service. Q. We hear stories about builders who are unscrupulous and on completion of a job send in a massive account for extras. A. It is true to say that 80 per cent of customers change their mind and ask for additional items of work to be carried out. Also, occasionally, items do crop up which cannot be foreseen by the contractor or the client. We will always explain and discuss your options, together with costings. These are conveyed to you in writing, thus keeping you abreast of your financial budget at any given time. As testament to the way in which we conduct ourselves, 80 per cent of our clients return to us for further projects and maintenance. Q. What back up do we have once work is complete and why do you have terms and conditions on the reverse of your quotation? A. The terms and conditions are designed to give protection to both the client and ourselves. We operate under the moral code of conduct "fair and reasonable". We hope that our client will do the same. Once work is complete we stand by our work for any reasonable amount of time and have often returned to snag work or replace a defective item well in excess of the warranty period. It takes many years to get a good reputation but it can be lost very quickly.